I like JLM’s approach to the logic of theorizing in the social realm, but I find that I occasionally take issue with specific claims he makes. For example, in a brief discussion of Diane Vaughan’s treatment of the Challenger space shuttle disaster in The Challenger Launch Decision: Risky Technology, Culture, and Deviance at NASA, he thinks that reference to “institutional culture” is tautological when used to explain behavior within a specific organization. Institutional culture is itself nothing other than the pattern of social action that takes place in the institutional setting” (35; cf. 45). But a culture is more than an ensemble of behaviors. It is the embodied mental equipment that leads individuals within the institution to act as they do, and it is the microfoundations of training and socialization through which these individuals come to possess that mental equipment. These are organized processes and cognitive realities at both the individual and the ensemble levels, and it is reasonable to attribute a stable reality to them. Different organizations have substantially different cultures and norms, and it is perfectly justified to be realists in referring these cultures and norms as causal factors. This is not a tautology. Frank Dobbin does a good job of articulating this notion in Forging Industrial Policy: The United States, Britain, and France in the Railway Age (link). I’m also unconvinced by the categorical position JLM takes on “actors”. “There are no collective-level actors” (38). JLM correctly observes that organizations have internal structure, and that the sub-units of the organization contribute to the “decision” the organization makes. But he is insistent that decisions and actions are always conducted by individuals. I agree that there are always microfoundations for an organization’s actions at the level of various individuals within the organization (link, link) — just as there are microfoundations at the level of the neuron for the calculations that the individual considers. But neither set of microfoundations resolves the question of where the level of agency lies. And it seems to me that there are clear cases where an organization functions normally according to its own procedures and arrives at a decision, and it is appropriate to attribute the agency to the organization rather than the individual who signed the last document. Awarding tenure within a university is a good example. Decisions are made at a range of levels, subject to locally enforced procedures and criteria, and tenure is recommended. The fact that the provost is the final stop in the process doesn’t mean that the action belongs to her alone. These are not inconsequential quibbles. Rather, they contribute to a recommendation to JLM, to be more receptive to an appropriately developed realism when it comes to mid-level social structures and actors. JLM is right in saying that realists need to be substantially more rigorous in theorizing the entities and forces that they purport to identify at the meso (supra-individual) level (100). He is appropriately critical of some aspects of critical realism. But that doesn’t mean that realism is illusory. Hard work is need to show how an organizational culture wields causal power, how a fiscal agency “decides” an interest rate policy, or how regulatory agencies are systematically subverted. And in my view, we need some new theoretical tools to allow us to arrive at a solid actor-centered social realist answer to these kinds of questions. But the questions themselves are legitimate and important. This is a bold book. At bottom it is a call for rethinking almost all of the theoretical concepts that we use in the social sciences — norm, institution, rationality, actor. JLM wants sociology to question its premises and look differently at the domain of the social world. I agree with him that this rethinking is needed. There are quite a few disparate voices attempting to do just that — Fligstein and McAdam, for example, and Crozier and Friedberg before them (link, link), in their innovative efforts at joining actors and structures. Thinking Through Theory is a worthy contribution to this effort. Jeremy Adelman’s detailed and illuminating biography of Albert Hirschman in Worldly Philosopher: The Odyssey of Albert O. Hirschman is an excellent example of intellectual biography. Even more, it is a valuable contribution to our understanding of the development of social science theories and frameworks. Born to a professional Jewish family in Berlin in 1915, Hirschman’s life bracketed the most searing nightmares of the twentieth century. 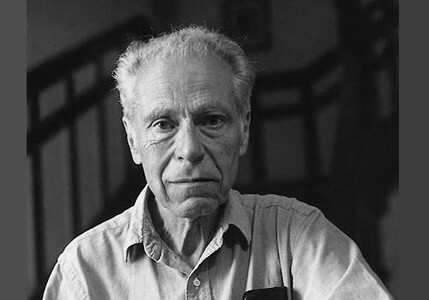 Hirschman was an anti-fascist activist as a teenager, leaving Berlin for France in 1933. He was an intellectual from the start, with curiosity and originality driving his quest for ideas and knowledge. But equally early he was an activist, with political convictions and allegiances that gave him the courage to resist fascism in every way he was able to. In France he pursued a doctorate in business (as the only French program he could enter), while continuing his anti-fascist activism. One part of the interest of this biography is the engagement in war and revolution into which his historical situation and political sympathies led Hirschman. He fought as a volunteer in Barcelona during the Spanish Civil War in 1936. 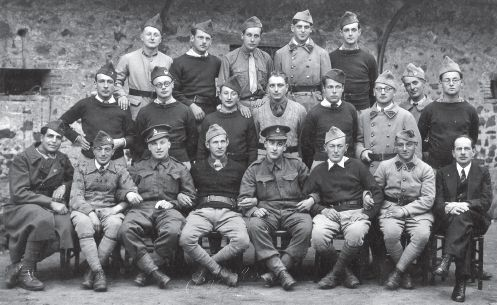 Returning to France he found himself as a volunteer in the French army, but was quickly demobilized following the defeat of France by Germany in 1940. He then had an intense half year of clandestine work in Marseille helping arrange escape from France for leftist intellectuals, refugees, and the occasional stranded American. He himself managed to emigrate to America in 1940 by landing a Rockefeller fellowship at Berkeley; but he then enlisted in the American army within weeks after the Japanese attack on Pearl Harbor. So in a brief few years Hirschman served in three armies fighting fascism. He spent months in Algiers as an enlisted man, was assigned duties as a translator behind the American lines in Italy, and wound up serving as translator in Rome for the German general who was the first to be charged for war crimes by the American army. (The general was found guilty of these crimes and sentenced to death.) And on Hirschman’s return to America his career was mysteriously blocked at various points by suspicions and innuendos that came to play a role in his confidential security dossier in Washington. While living in France (and later in fascist Italy as an American soldier) he became closely acquainted with some of the most interesting activists and political thinkers of Europe. Among the intellectuals who passed through the escape channels Hirschman helped to maintain included “Hannah Arendt, André Breton, Marc Chagall, Marcel Duchamp, Max Ernst, Siegfried Kracauer, Wifredo Lam, Jacques Lipchitz, Alma Mahler Gropius Werfel (the serial wife of composer Gustav Mahler, architect Walter Gropius, and novelist Franz Werfel), Heinrich Mann, Walter Mehring” (171). But I find Adelman’s biography interesting for another reason as well. Adelman does a remarkable job of explicating the originality and edginess of Hirschman’s thought, from his service in the Federal Reserve Bank in Washington and efforts at European reconstruction, to his advising role in Columbia, to his mid-life success in gaining entree to elite American universities (Berkeley, Yale, Columbia, Princeton) and the emerging field of the theory of development. Adelman works through the combinations of personal, contextual, and intellectual influences that helped to shape Hirschman’s imagination as a social scientist, and this makes for very interesting reading. Adelman traces this crucial intellectual disposition to a number of different influences: Hirschman’s brother-in-law, the Italian physicist and activist Eugenio Colorni (murdered by fascist thugs in Rome in 1944); the writings of Hayek; and his own experience as an observer and practitioner of economic change in Columbia (in international trade and in economic development). Perhaps most important, Hirschman was persuaded by the bad experience of the dogmatic, ideological theories of both right and left in the 1930s of the importance of modesty and open-mindedness in one’s convictions about how the social world works. This becomes one of the key elements in Hirschman’s main academic work, his critique of modernization theory and unified central planning as foundations for the policies of agencies like the World Bank and the IMF. What comes out of this skepticism about the grand theories of the economists or political scientists is a more pragmatic and experimental approach to policy. Rather than building complex plans that presuppose a detailed knowledge of causation and inter-connection of causes, we should instead take pragmatic steps that seem to be pushing the system in the right direction. In the case of Columbia, this meant favoring the developments of entrepreneurs and businessmen in their individual efforts rather than supporting grand schemes of reconstruction and capital investment. He favored multiple strategies, “not a single road to change” (274). Also interesting is the fine interpretation that Adelman offers of Hirschman’s first two books, National Power and the Structure of Foreign Trade and The Strategy of Economic Development. The first was a great disappointment to Hirschman, since he had hoped that it would launch his academic career and reputation in the United States; while the second achieved exactly the kind of success he had hoped for with the first. But in hindsight, the first book seems to have as much importance as the second. It lays out a powerful and rigorous argument for the ways in which nationalist and fascist regimes were able to use the “soft power” of trade alliances to achieve their goals. The inequalities of bargaining position that exist between bilateral trading partners create the opportunities for highly coercive actions by the more powerful. This argument still seems relevant in the global trade environment in which we now live. It also propelled the argument towards a de-nationalization of world affairs — a historical development that came to life to some extent in the establishment of the European Union. Adelman, a professor of history at Princeton, has also edited a forthcoming collection of some of Hirschman’s work, The Essential Hirschman. Both these works are truly valuable, and particularly so for social scientists who have realized that their disciplines need the kinds of independent and cross-sectional thinking that Hirschman was so good at. John Levi Martin argues in The Explanation of Social Action , among other things, that we need to understand the social world through the ways it is experienced by participants. “Sociology and its near kin have adopted an understanding of theoretical explanation that privileges ‘third-person’ explanations and, in particular, have decided that the best explanation is a ‘causal’ third-person explanation, in which we attribute causal power to something other than flesh-and-blood individuals” (kl 75). He thus criticizes sociological theorizing because it is third-person and aims to explain social arrangements in terms foreign to the participants. But this is really what the act of “theorizing” always involves, and why it is important. The social world always exceeds the vision of the participants, and though Levi Martin cringes at the thought, there are in fact distant, unseen structures and systems that constrain local experience. The role of theory — one role, anyway — is to discover in thought what some of those systemic processes and forces are. “Capitalism,” “trading system,” “sugar-cotton-slave nexus,” “finance capital,” and “bourgeois ideology” are all theoretical formulations designed to connect the dots — to draw attention to the systems within which everyday experience takes place. And those systems exist and have consequences for individuals at all levels of agency — beliefs, assumptions, purposes, incentives, and constraints. It is of course true that social entities at every level require microfoundations. So it isn’t quite right to say that social entities convey effects through something other than flesh-and-blood individuals. But this does not mean that they do no convey effects onto individuals and local arrangements that are beyond the ken of the local actors. Take the complex of ideas associated with Marx’s conception of materialism as an example, and put yourself in a particular historical setting–say British factory expansion in the 1830s and 1840s. Participants at every location had perceptions and ways of talking about their experiences. The recently “freed” factory worker in Manchester had his perspective; the dockworker in London had his; the “putting-out” spinner had hers; the Caribbean slave had his and hers; and likewise the baker, the tailor, and the candlestick maker. For that matter, Marx, Engels, and Carlyle were participants too, and they made their own efforts to conceptualize and explain their experience. They wanted to say what was going on. But here is the crucial point; none of them really got it. They got parts of the story — the harsh conditions in the factory, the swirl of new finance activity, the overseers’ whip, the living conditions in slums in Birmingham, Manchester, and London, the stench of the River Irk, and much else. But none was in a position to perceive the relationships among these social locations. These are all fragments of the picture, and as Marx insisted in Capital when he discussed commodity fetishism — some of these perspectives conceal rather than expose the system of social relations that was emerging. It took something else in order to cognize “emerging capitalist urban industrial society”. Carlyle did his part (he coined the phrase, the “cash nexus”); so did Engels and Marx; and so have Gramsci and Wallerstein. Theorizing was necessary in order to transform the partial and sometimes mystifying bits of ordinary experience into a more revealing system-level understanding. The worker perceives the temporal coercion of the factory; but he and she do not perceive the larger social structures that explained that system of organization. Is the participant-level even the right perspective from which to try to identify an explanation? I don’t think so. 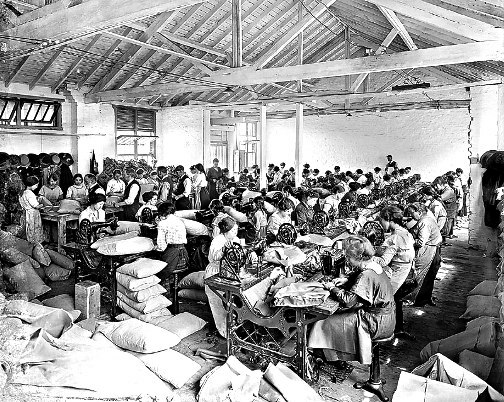 Were conditions in this factory harsh because this owner was hostile or cruel towards these particular workers? No, rather because the competitive environment of profitability and accumulation created an inexorable race to the bottom. So we can’t explain this factory’s working conditions by referring to specific features of this factory and its owner. This logic is spelled out very clearly in Capital, and it is a system-level characteristic. Actors may see the little picture — particularities that while undeniable are still ignorable — but they do not produce the sweeping abstractions that have important implications across many domains of social life. It is these general abstracts that, when linked in some system, deserve the credit of behing “theory, and the more surprising the implications — the less they agree with the particular, everyday knowledge of actors — the more brilliant the theory is if confirmed. (kl 104). So how do distant, impersonal social forces impinge on local experience? This is the nexus that draws the greatest skepticism from Levi Martin. But it isn’t particularly difficult to answer. Take the rapid development of tenements and slums that Engels describes in The Condition of the Working Class in England . The expansion of trade, rapidly rising demand for finished goods, and the workings of financial markets are the distal causes that shaped the choices of capitalists, city fathers, and legislators, and these choices compounded to the misery described by Engels. This is the value of Immanuel Wallerstein’s work; he helps demonstrate these distal relations and systemic interrelationships (The Modern World-System I: Capitalist Agriculture and the Origins of the European World-Economy in the Sixteenth Century, With a New Prologue ). And I don’t think that Wallerstein’s work is at all incompatible with an actor-centered, microfoundational view of social causation. Doug McAdam is hard at work shedding new light on the meso-dynamics of contention. What are the specific social and psychological mechanisms that bring people into social movements; what factors and processes make mobilization more feasible when social grievances arise? Recently he has done work on the impact of Teach for America on its participants, and he and his graduate students are now examining a set of environmental episodes that might have created local NIMBY movements — but often didn’t. McAdam’s most sustained contribution to the field of contention is his 1982 book on the dynamics of the struggle for racial equality, Political Process and the Development of Black Insurgency, 1930-1970 . The book was reissued in 1999 with a substantive new introduction, and it has set the standard for sophisticated sociological study of a large, complex movement. McAdam collaborated with Sidney Tarrow and Chuck Tilly in articulating a new vision of how to approach the politics of contention in Dynamics of Contention . And he has co-authored or co-edited another half dozen books on social movements and popular mobilization. So McAdam has been one of the architects of the field of contentious politics. Most importantly, he and his collaborators have brought innovative new thinking to the definition of problems for social research. So it is valuable to dig into some of McAdam’s thoughts and his sociological imagination as we think about how the sociology of the future might be shaped. I conducted an extensive interview with Doug earlier this month, and it opened up quite a few interesting topics. The full interview is posted on YouTube (link). There are quite a few important turns to the conversation. Segment 1: Why is the study of contention a central topic within the social sciences? Segment 2: How can we approach contention without looking only at the successful cases? How about the moments where contention might have developed but did not? We can combine quantitative and qualitative methods — perhaps in an order that reverses the usual approach. Maybe we can use quantitative studies to get a general feel for a topic, and then turn to qualitative and case studies to discover the mechanisms. Segment 3: Another important theme: “We are voracious meaning-making creatures.” Human beings have a cognitive-emotional-representational ability to attempt to represent meanings and their own significance within the larger order. Rational choice theory has too narrow a conception of agency. Why did the Black community stay off the buses in Montgomery? Because people were strongly enmeshed in communities of meaning and commitment that framed the bus boycott in terms of meaning and identity. Segment 4: The psychology of mobilization is complex. It’s not just “rational incentives”. Organizers and leaders use the affinities and loyalties of the community to bring about collective action. 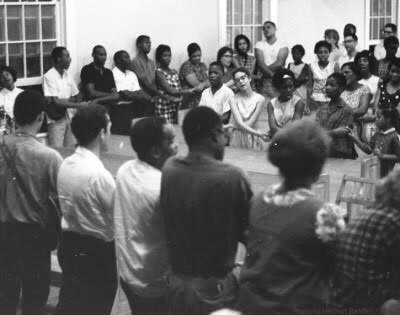 For example, an interesting strategy by SNCC to “shame” church leaders into supporting activists. Movements happen very suddenly; this seems to reflect a process of “redefining” the situation for participants. Another interesting issue: what is the right level of analysis — micro, meso, or macro? Doug favors the “meso” level. Segment 6: Now to mechanisms and processes. There are no laws of civil wars. So we need to look downward into the unfolding of the episodes of contention. Comparative historical sociology is a very dynamic movement today. Your work isn’t quite as comparative as that of Tilly or McAdam. Doug indicates that he favors comparison; but he tends to choose cases that are broadly comparable with each other. Tilly often made comparisons at a much higher level of variation. Q: Would you have been comfortable framing your study of the American Civil Rights movement as a comparison with the Solidarity Movement in Poland? A: no. There is too broad a range of differences between the cases. Segment 7: McAdam offers some interesting observations about the relationship between general theory and the specific social phenomena under study. An important point here is a strong advocacy for eclectic, broad reading as one approaches a complex social phenomenon. We can’t say in advance where the important insights are going to come from — anthropology, political science, history, sociology, …. Segment 8: We can dig into the social features that make certain figures very successful in bringing a group of people into a readiness to engage together. Is social status a key factor? Is it that some people are particularly persuasive? Doug wants to break open the black box and get a lot better understanding of the meso-level processes and mechanisms through which mobilization occurs. A closing topic: what about protest and mobilization in Asia? Do you think these ideas about mobilization are relevant and illuminating in China or Thailand? Or has it developed in too specific a relationship to democratic societies? Does the current understanding of popular mobilization help us when we try to understand movements like the Redshirt movement in Thailand? Doug believes the framework is relevant outside the democratic West. The ideas need to be applied loosely and flexibly. Segment 9: So the theory is really a “sketch” of the space of mobilization, rather than a set of specific hypotheses about how mobilizations always work. And in that understanding — the field is very relevant to research on the Thailand movement. We say that a statement is underdetermined by available facts when it and an alternative and different statement or theory are equally consistent with that body of facts. 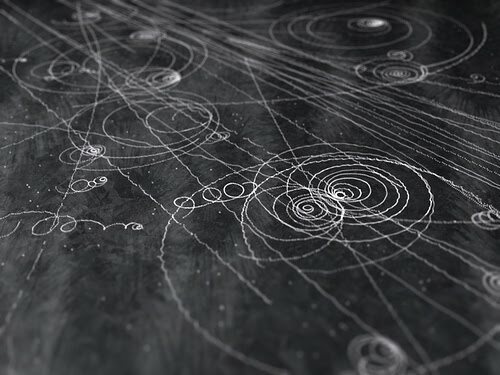 It may be that two physical theories have precisely the same empirical consequences — perhaps wave theory and particle theory represent an example of this possibility. And by stipulation there is no empirical circumstance that could occur that would distinguish between the two theories; no circumstance that would refute T1 and confirm T2. And yet we might also think that the two theories make different assertions about the world. Both statements are underdetermined by empirical facts. 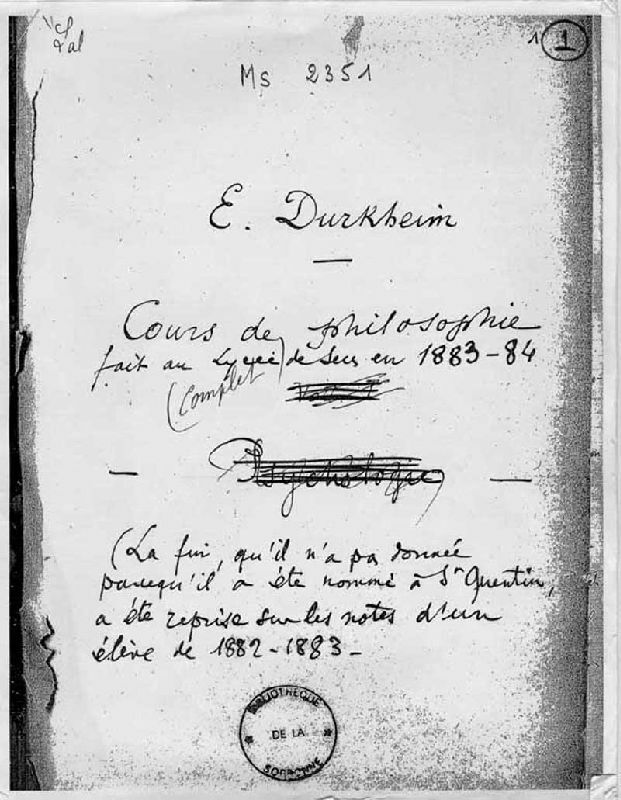 Pierre Duhem further strengthened the case for the underdetermination of scientific theories through his emphasis on the crucial role that auxiliary hypotheses play in the design of experiments in The Aim and Structure of Physical Theory . Individual theoretical hypotheses — “light is a wave,” “people behave on the basis of their class interests” — do not have definite empirical implications of their own; rather, it is necessary to bring additional assumptions into play in order to design experiments that might support or refute the theoretical hypothesis. And here is the crucial point: if an experimental result is inconsistent with the antecedent theory and auxiliary hypotheses, we haven’t demonstrated that the hypothesis itself is false, but rather that at least one among the premises is false. And it is possible to save the system by modifying the theory or one or more of the auxiliary assumptions. As W. V. O. Quine put the point, scientific knowledge takes the form of a “web of belief” (The Web of Belief ). On the extreme assumption that both statements have precisely the same consequences, we might infer that the two theories must be logically equivalent, since the logical content of a theory is the full range of its deductive consequences and the two theories are stipulated to have the same deductive consequences. So it must be possible to derive each theory from the other. And if T1 and T2 are logically equivalent, then we wouldn’t say that they really express different assertions about the world. A more problematic case is one where two theories have distinct bodies of deductive consequences; but where the subset of deductive consequences that are empirically testable are the same for the two theories. In this situation it is no longer the case that the two theories are logically equivalent but rather “empirically equivalent.” And here it would be credible to say that the two make genuinely different assertions about the world — assertions that cannot be resolved empirically. A third and still weaker case is one in which T1 and T2 have distinct consequences for both theoretical statements and a specific subset of empirical statements; but they overlap in their consequences for a second body of empirical statements. And consider this possibility: Because a given level of instrumentation and inquiry limit the types of empirical statements that can be evaluated, this body of data does not permit us to differentiate between the theories. So we can distinguish between “currently testable” and “currently not testable”. For this third case, we are to imagine that T1 and T2 have distinct implications for theoretical statements and for currently not testable empirical statements; but they have the same consequences for currently testable statements. In this case, T1 and T2 are currently underdetermined — though advances in instrumentation may result in their being empirically distinguishable in the future. It is worth noting how heroic is the notion of “determination” of theory by evidence. If we thought that science should issue in theories that are determined by the empirical evidence, we would be committed to the idea that there is one uniquely best theory of everything. This assumption of ultimate theory uniqueness might be thought to follow from scientific and metaphysical realism: the world has a specific and determinate structure and causal properties; this structure gives rise to all observations; well-supported theories are approximately true descriptions of this hidden structure of the world; and therefore there is a uniquely best scientific theory — the one that refers to this set of entities, processes, and structures. And if an existing theory is false in description of this unobservable reality, then there must be observational circumstances where the false assumptions of the theory give rise to false predictions about observation. In other words, well-confirmed theories are likely to be approximately true, and the hidden structure of the world can be expected to create observations that refute out false theories. However, this foundational approach is implausible in virtually every area of science. Our theories rarely purport to describe the most fundamental level of reality; instead, they are meso-level descriptions of intermediate levels of phenomena. Take the effort to understand planetary motion. The description of the orbits of the planets as ellipses generated by the gravitational attraction of the planet and the sun turned out to be only approximately true. Did this refute the pure theory of gravitation? Certainly not; rather, it raised the possibility of other causal processes not yet identified, that interfere with the workings of gravitational attraction. So how do these general considerations from the philosophy of science affect the situation of knowledge claims in the social sciences? It would seem that social science claims are even more subject to underdetermination than the claims of mechanics and physics. In addition to the problem of unidentified interfering causes and the need for auxiliary hypotheses, we have the problems of vagueness and specification. We commonly find that social science theories offer general statements about social causes and conditions that need to be further specified before they can be applied to a given set of circumstances. And there are almost always alternative and equally plausible ways of specifying the concept in a particular setting. Take the idea of class conflict as a theory of political behavior. The theory may assert that “workers act on their material interests.” Before we can attempt to evaluate this statement in particular social settings, we have to specify several things: how to characterize “material interests” in the setting and how to represent the cognitive-behavioral models the worker uses as he/she deliberates about action. Is retaining support from City Hall a material interest? Or are material interests restricted to wages and the workplace? Are workers thought to be rational maximizers of their interests, or do they also embody social commitments that modulate the dictates of maximization? And here is the crucial point: different specifications lead to different predictions about political behavior; so the general theoretical assertion is underdetermined by empirical observation. This discussion seems to lead us into surprising territory — not the limited question of underdetermination but the large question of truth and correspondence and the question of the rationality of scientific belief. Do we think that social assertions are true or false in the semantic sense: true by virtue of correspondence to the facts as they really are; or do we think that social assertions are simply ways of speaking about complexes of social phenomena, with no referential force? Is the language of class or ideology or ressentiment just a way of encompassing a range of social behaviors, or are there really classes and ideologies in the social world? And if we affirm the latter possibility, does the evidence of social observation permit us to unambiguously select the true theories? I suppose one possible approach is to minimize the scope of “truth” when it comes to the social sciences. We might say that there is a limited range of social statements that are unambiguously true or false — Jones robbed a store, Jones robbed a store because he was economically desperate, people sometimes commit crimes out of economic necessity — but there is a broader class of statements that have a different status. These are more akin to interpretive schemes in literary criticism or to a set of metaphors deployed to describe a complex social situation. The language of class may fall in this category. And we might say that these statements are not truth claims at all, but rather interpretive schemes that are judged to do a better or worse job of drawing together the complex phenomena to which they are applied. And in this case, it seems unavoidable that statements like these are radically underdetermined by the empirical facts. How can general, high-level social theory help us to better understand particular historically situated social realities? Is it helpful or insightful to “bring Weber’s theory of religion to bear on Islam in Java” or to “apply Marx’s theory of capitalism to the U.S. factory system in the 1950s”? Is there any real knowledge to be gained by applying theory to a set of empirical circumstances? In the natural sciences this intellectual method is certainly a valid and insightful one. We gain knowledge when we apply the theory of fluid dynamics to the situation of air flowing across a wing, or when we apply the principles of evolutionary theory to the problem of understanding butterfly coloration. But do we have the same possibility in the case of the social world? My general inclination is to think that “applying” general social theories to specific social circumstances is not a valid way of creating new knowledge or understanding. This is because I believe that social ensembles reflect an enormous degree of plasticity and contingency; so general theories only “fit” them in the most impressionistic and non-explanatory way. We may have a pure structural theory of feudalism; but it is only the beginning of a genuinely knowledge-producing analysis of fourteenth-century French politics and economy or the Japanese samurai polity. At best the theory highlights certain issues as being salient — the conditions of bonded labor, the nature of military dependency between lord and vassal. But the theory of feudalism does not permit us to “derive” particular features or institutions of French or Japanese society. “Feudalism” is an ideal type, a heuristic beginning for social analysis, rather than a general deductive and comprehensive theory of all feudal societies. And we certainly shouldn’t expect that a general social theory will provide the template for understanding all of the empirical characteristics of a given instance of that theorized object. 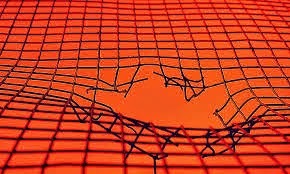 Why is there this strong distinction between physical theory and social theory? Fundamentally, because natural phenomena really are governed by laws of nature, and natural systems are often simple enough that we can aggregate the effects of the relevant component processes into a composite description of the whole. (There are, of course, complex physical systems with non-linear composite processes that cannot be deductively represented.) So theories can be applied to complicated natural systems with real intellectual gain. The theory helps us to predict and explain the behavior of the natural system. The social world lacks both properties. Component social mechanisms and processes are only loosely similar to each other in different instances; for example, “fealty” works somewhat differently in France, England, and Japan. And there is a very extensive degree of contingency in the ways that processes, mechanisms, agents, and current circumstances interact to produce social outcomes. So there is a great degree of path dependency and variation in social outcomes, even in cases where there are significant similarities in the starting points. So feudalism, capitalism, financial institutions, religions, ethnic conflicts, and revolutions can only be loosely theorized. That is my starting point. But some social theorists take a radically different approach. A good example of a bad intellectual practice here is the work of Hindess and Hirst in Pre-Capitalist Modes Of Production, in which they attempt to deduce the characteristics of the concrete historical given from its place within the system of concepts involved in the theory of the mode of production. Is this a legitimate and knowledge-enhancing effort? I don’t think that it is. We really don’t gain any real insight into this manor, or the Burgundian manor, or European feudalism, by mechanically subsuming it under a powerful and general theory — whether Marx’s, Weber’s or Pareto’s. It should be said here that it isn’t the categories or hypotheses themselves that are at fault. In fact, I think Marx’s analysis and categories are genuinely helpful as we attempt to arrive at a sociology of the factory, and Durkheim’s concept of anomie is helpful when we consider various features of modern communities. It is the effort at derivation and subsumption that I find misguided. The reality is larger and more varied than the theory, with greater contingency and surprise. It is worthwhile looking closely at gifted social scientists who proceed differently. One of these is Michael Burawoy, a prolific and influential sociologist of the American labor process. His book, Manufacturing Consent: Changes in the Labor Process Under Monopoly Capitalism , is a detailed study of the American factory through the lens of his micro-study of a single small machine shop in the 1940s and 1970s, the Allied/Geer factory. Burawoy proceeds very self-consciously and deliberately within the framework of Marx’s theory of the capitalist labor process. He lays out the fundamental assumptions of Marx’s theory of the labor process — wage labor, surplus labor, capitalist power relations within the factory — and he then uses these categories to analyze, investigate, and explain the Allied/Geer phenomena. But he simultaneously examines the actual institutions, practices, and behaviors of this machine shop in great participant-observer detail. He is led to pose specific questions by the Marxist theory of the labor process that he brings with him — most importantly, what accounts for the “consent” that he observes in the Allied workers? — but he doesn’t bring a prefabricated answer to the question. His interest in control of surplus labor and coercion and consent within the workforce is stimulated by his antecedent Marxist theory; but he is fully prepared to find novelty and surprise as he investigates these issues. His sociological imagination is not a blank slate — he brings a schematic understanding of some of the main parameters that he expects to arise in the context of the capitalist labor process. But his research assumptions are open to new discovery and surprising inconsistencies between antecedent theory and observed behavior. And in fact, the parts of Burawoy’s book that I find most convincing are the many places where he allows his sociological imagination and his eye for empirical detail to break through the mechanism of the theory. His case study is an interesting and insightful one. And it is strengthened by the fact that Burawoy does not attempt to simply subsume or recast the findings within the theoretical structure of Marx’s economics. What do we want from sociology? Let’s say we’ve absorbed the anti-positivism argued many times here — sociology should not be modeled on the natural sciences, we shouldn’t expect social phenomena to have the homogeneity and consistency characteristic of natural phenomena, and we shouldn’t expect to find social laws. What remains for the intellectual task of post-positivist sociology? What do we want from sociology? Here are a handful of topics that are both important and feasible. So there is plenty for a post-positivist sociology to do. But more specifically, what can the science of sociology offer us? To start, we would like to understand some of the myriad social processes that surround us. We would like to understand how social stratification works; how economic power is translated into political power; why racial disadvantage persists from one generation to another; and what leads people to behave as they do in specific social settings. To put a name on this, we would like to have convincing theories of social mechanisms and processes, and some idea of how these aggregate into larger social processes. Second, to whatever degree possible, we would like to have theories of social behavior that will permit us to intervene to prevent undesirable outcomes. We would like to greatly reduce the rate of teen violence in cities like Detroit and Chicago. And this requires theories of the factors that lead to the behavior so we can have some hope of designing solutions. So we would like for sociology to provide a degree of theoretical support for the design of helpful social policies. Third, we would like for sociology to be an empirical discipline. And thus means that we want to “test” or otherwise empirically evaluate the hypotheses and theories produced by sociologists. All three of these goals seem to point in the direction of a sociology of the middle range (as Robert Merton put it) — theories that attempt to capture mid-range social processes such as racial discrimination in housing, power brokerage, or identity formation. The value of this level of focus is parallel to the three points just made. Mid-level analysis is suitable to investigation and discovery of social mechanisms. Mechanisms and processes at this level are likely to be most useful when it comes to designing policies and social interventions. And, finally, this level of sociological theory is most likely to admit of empirical investigation and validation through piecemeal inquiry. What this suggests to me is that piecemeal inquiry into specific social phenomena is a more promising approach than grand unifying sociological theories. And this in turn suggests the metaphor of toolbox rather than orrery — a collection of explanatory hypotheses rather than a unifying theoretical system. What is a sociological theory? And how does it relate to the challenge of providing explanations of social facts? In the natural sciences the answer to this question is fairly clear. A theory is a hypothesis about one or more entities or processes and a specification of their operations and interactions. A theory is articulated in terms that permit rigorous and unambiguous derivation of implications for the behavior of a body of phenomena — perhaps through specification of a set of equations or through a set of statements with deductive consequences. A theory may specify deterministic properties of a set of entities — thus permitting point predictions about future states of the relevant system; or it may specify probabilistic relations among entities, giving rise to statements about the distribution of possible future states of the system. And a theory is provided with a set of “bridge” statements that permit the theorist to connect the consequences of the theory with predictions about observable states of affairs. So in the natural sciences, theories are expected to have precise specification, deductive consequences, and specific bridge relationships to observable phenomena. Is there anything like this construct in the social sciences? At a much more abstract level, we might consider whether a theory is a broad family of ideas, assumptions, concepts, and hypotheses about how the world works. So Marxism or feminism might represent a theory of the forces that are most important in explaining certain kinds of phenomena. We might refer to this broad collection of ideas as a “theory”. Or we might instead regard this type of intellectual formation as something more than a theory — a paradigm or mental framework — or something less than a theory — a conceptual scheme. And we might say that there is a generally rising order among these constructs. We need concepts to formulate hypotheses and theories; we need theories to give form to our mental frameworks; and we need epistemologies to justify or criticize theories and paradigms. In another sense, there is a descending order from epistemology to framework to concepts and theories: the framework and epistemology guide the researcher in designing a conceptual system and a set of theoretical hypotheses. Where do constructs like feminism, critical race theory, or Marxism fall within this scheme? We might say that each of these bodies of thought involves commitments in each of these areas: specialized concepts, specific causal hypotheses, an organizing framework of analysis, and an epistemology that puts forward some specific ideas about the status of knowledge and representation. The theory of “resource mobilization” and social movements is somewhat less comprehensive (McAdam and Snow, Readings on Social Movements: Origins, Dynamics, and Outcomes ; McAdam, McCarthy, and Zald, Comparative Perspectives on Social Movements: Political Opportunities, Mobilizing Structures, and Cultural Framings ; link, link, link). It functions as a linked body of hypotheses about how social movements arise. So RMT is a good example of the limited conception of theory. Zald, McCarthy, Tilly, McAdam, and others purport to identify the controlling causal variables that explain the success or failure of mobilization around grievance. Their theories reflect a mental framework — one that emphasizes purposive rationality (rational choice theory) and material factors (resources). And they offer specific hypotheses about mobilization, organization, and social networks. Theory1. If you use the word ‘theory’ in the sense of theory1, what you mean by it is a general proposition, or logically-connected system of general propositions, which establishes a relationship between two or more variables. Theory2. A theory2 is an explanation of a particular social phenomenon. Theory4. The word ‘theory’ and some of its derivatives are sometimes used to refer to the study of and the students of the writings of authors such as Marx, Weber, Durkheim, Simmel, Parsons, Habermas, or Bourdieu. Theory5. A theory5 is a Weltanschauung, that is, an overall perspective from which one sees and interprets the world. Unlike theories1, theories2, and theories3, theories5 are not about the social world itself, but about how to look at, grasp, and represent it. Theory6. Lexicographers trace the etymology of the word ‘theory’ to the late Latin noun ‘theoria,’ and the Greek noun ‘the¯oria’ and verb ‘the¯orein’ (usually translated as “to look at,” “to observe,” “to see,” or “to contemplate”). The connotations of these words include detachment, spectatorship, contemplation, and vision. This etymology notwithstanding, some people use the word ‘theory’ to refer to accounts that have a fundamental normative component. How does the historian need to think as he or she formulates a discursive representation of a complex period of history? What assumptions does the historian make about the structures and entities that make up the social world? And what sorts of conceptual systems are needed in order to permit the historian to do his or her work of analysis, comparison, and explanation? These questions lead us to a philosophical version of the problem: what forms of ontology do historians employ in analyzing history? Consider a concrete and familiar example of historical conceptualization: historians confronting the realities of the French Revolution from 1789 to 1799. What are the historical entities to which historians need to refer in constructing a history of these events? Consider, to start, Albert Soboul’s construction of the making and carrying out of the French Revolution (A Short History of the French Revolution, 1789-1799 and The French Revolution 1787-1799: From the Storming of the Bastille to Napoleon ). … and so on through crowd violence, state action, military movements, rise and fall of revolutionary leaders, political factions, ideologies, and bloodshed. He refers to different forms of the social management of labor (corvée labor, slave labor). He refers to specific periods of governance in French history – for example, the Capetian monarchy; and he refers to a type of governance – the absolutist monarchy. He refers to classes – the bourgeoisie, the landlord class, the peasant class. It is apparent that Soboul’s historical ontology incorporates large stretches of Marx’s social theory of the structures that constitute society: forces and relations of production, property systems, modes of production, superstructures such as the state and the church. There is also an ontology of social institutions in Soboul’s writing about the Revolution. He refers to subordinate social organizations within existing society – the officer corps, the Church. He refers to economic and demographic processes – population increase, trends of price movements for grain. He refers to features of political consciousness on the part of various social actors – hopes, fears, revolutionary spontaneity (38). 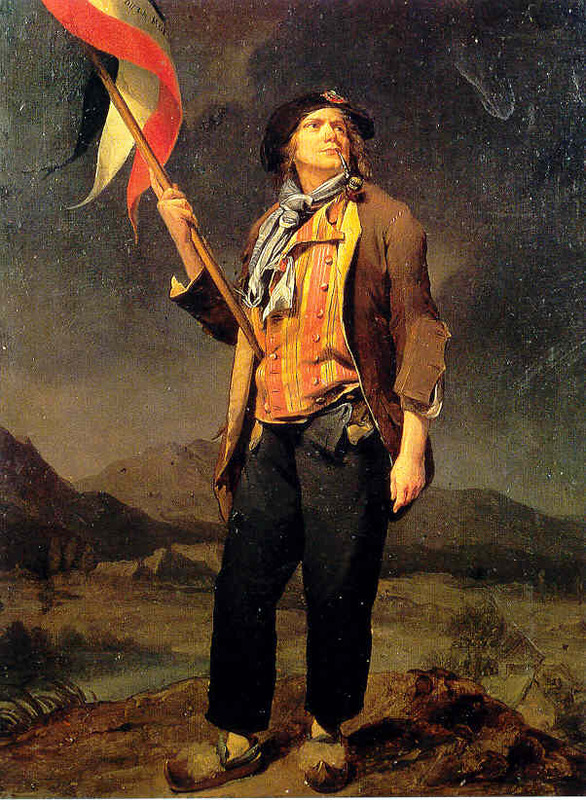 And he refers to political groups and clubs – the Girondins (“spokesmen of the commercial bourgeoisie”; 87), Montagnards and Jacobins (bourgeois but appealing to common people; 88), and Sans-Culottes (the organized representatives of the common people; 100). So Soboul’s historical vocabulary is a rich one, in that he refers to historical things and structures at a variety of levels. We might paraphrase Soboul’s historical ontology in these terms: the French populace of the 1770s consisted of a geographically dispersed collection of persons enmeshed social, economic, and political structures. The circumstances of life and opportunity created for different people by these structures in turn defined them as “classes” with interests and motivations. Peasants, artisans, landowners, lawyers, and government officials had very different views of the social world, and their political behavior was accordingly different as well. The political struggles that constituted the turmoil of the years of revolution derived from contests over power among different groups of people, mobilized by different organizations with different social, economic, and political interests. In other words, Soboul works with a “proto-theory” of what a society is, how it works, and how individuals are influenced in their ordinary conduct; within the context of this scheme, the task of the historian is to discover some of the specific features of those social relations and features of consciousness, and explain the small and large events that combined to bring about “the Revolution”. Combining the results of a similar survey of a number of historians — de Tocqueville, Soboul, Schama, Darnton, Cobb, Sewell, Tilly, and others — we can arrive at something like an inventory of ontological concepts of the French Revolution – events, individuals, structures, mentalities, processes, conditions, patterns, and technologies. These categories of historical “things” encompass what begins to look like a comprehensive list of the types of entities to which historians refer when conceptualizing France’s revolution. Or in other words: it is possible for us as readers of these historians to sketch out a large historical ontology, from which different historians borrow in varying proportions in their analysis of the events of the late eighteenth century in France. It is fairly evident that there were substantive ontological assumptions about how the social world worked that guided the founders of sociology: individuals create social outcomes (Mill), norms and values have a superordinate role in social action (Durkheim), the problem of social order is the fundamental problem for sociology (Durkheim), crises are common within capitalism (Marx), social events are meaningful and historically particular (Dilthey), modern society is marked by impersonal social institutions (Tönnies) …. Assumptions at this level guided the thinking of specific theorists as they developed conceptual schemes in terms of which to understand the social world and advanced theories about how the social world worked. We should therefore not imagine that the social sciences developed as an abstract, logical solution to a simple problem, as perhaps naive empiricism might have suggested: identify the domain of social phenomena that constitute the declared subject matter of a given discipline of social science; examine and classify the phenomena so as to discover whatever regularities are to be found among them; formulate theoretical hypotheses about the laws that govern these phenomena; and explain the patterns and events that are discovered as the consequences of these hypothetical laws. Instead, each of the founders of the social sciences came to his or her studies with fairly specific pre-scientific ideas about what the domain of the social world was and how it should be explained. These ideas are both ontological and methodological; and all of them are contestable. Perhaps we might describe this framework as a “folk philosophy of knowledge” that is to some extent unexamined but that guides the pursuit of knowledge, the form that it takes, and the ways in which it is evaluated. 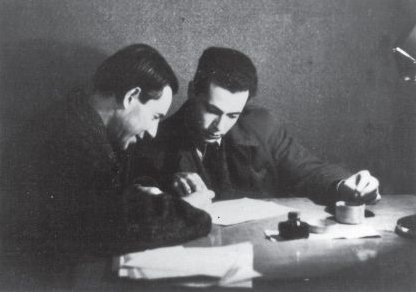 German intellectual historian Fritz Ringer tries to locate Max Weber’s intellectual origins within what he calls an “intellectual field” — as he puts it, “a constellation of positions that are meaningful only in relation to one another, a constellation further characterized by differences of power or authority, by the opposition between orthodoxy and heterodoxy, and by the role of the cultural preconscious, of tacit ‘doxa’ that are transmitted by inherited practices, institutions, and social relations”; Max Weber’s Methodology: The Unification of the Cultural and Social Sciences , p. 5. I think that Ringer is raising a question quite similar to mine here: what are the substantive reference points and conceptual presuppositions that the theorist brings to his theory and inquiry as he sets out. And this question is particularly crucial at the beginning; later theorists are in turn formed by their readings and reactions to the theories and systems of the prior generation. But naturalism and positivism were not the only substantive philosophical frameworks that influenced the first generation of the social sciences. The hermeneutic tradition was a strikingly different starting point for the rigorous investigation and explanation of social realities. The hermeneutic tradition derived from literary and biblical interpretation; it looked at history and human affairs as a body of meaningful signs that required interpretation. And it emphasized the singular over the general, the historically particular over the law-like generalization. Dilthey’s hermeneutic philosophy offered a non-positivist, non-causalist starting point for the “human sciences”. The intellectual tradition that Dilthey absorbed and re-deployed as a basis for the human sciences was philosophically rigorous and committed to careful argumentation and interpretation. But it differed profoundly from the epistemology of empiricism and positivism. The key point here should not be lost. It is that the various efforts to forge a scientific theory of society are partly empirical and theoretical; but they are also partly metaphysical and epistemic, grounded in pre-scientific assumptions about the nature of the social world and the nature of empirical study of society that are only partially expressed and are inherently debatable. Metaphors, pictures, hunches, and the thinker’s own experiences play a deeply important role in the development of sociological frameworks. This is why it is appropriate to refer to the “sociological imagination.” There are other starting points; and if we had started with different philosophical frameworks and different metaphors, we would have arrived at different sociologies. So engaging with the philosophy of social science is a fruitful way of trying to rethink the presuppositions of existing approaches to a “science of society”. A prior posting on philosophy and the social sciences addresses this issue as well. Here is a posting on the roots of the philosophy of social science and a posting on continental philosophy of social science that are relevant as well.